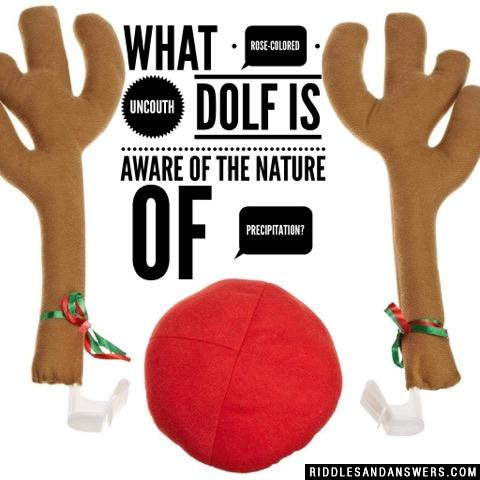 What rose-colored uncouth dolf is aware of the nature of precipitation? What song was a parent observed osculating a red-coated unshaven teamster? What is a joyful song of reverence relative to hollow metallic vessels which vibrate and bring forth a ringing sound when struck? 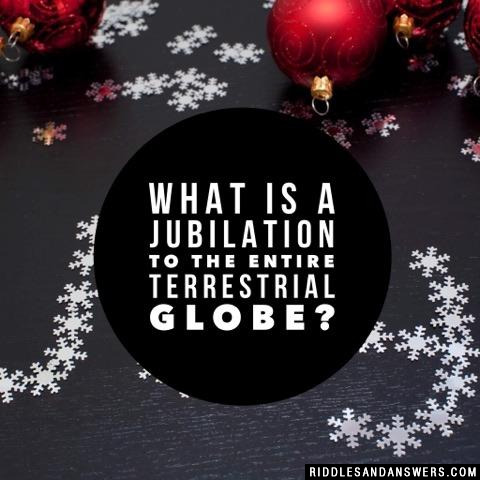 What is a jubilation to the entire terrestrial globe? What is a fervent hope that you thoroughly enjoy your yuletide season? What are the duodecimal enumeration of the passage of the yuletide season? 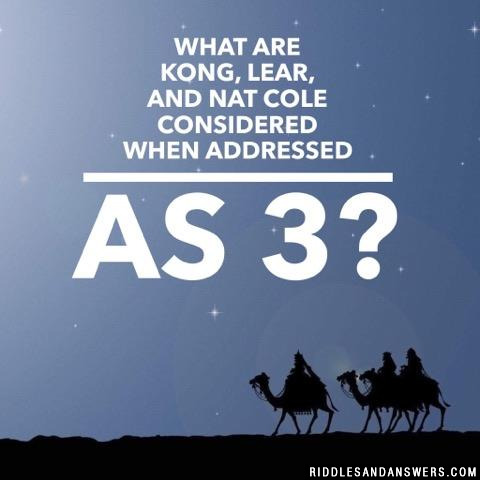 What are Kong, Lear, and Nat Cole considered when addressed as 3? What are the cup-shaped instruments fashioned of a whitish metallic element? What is it called when you decorate the entryways? 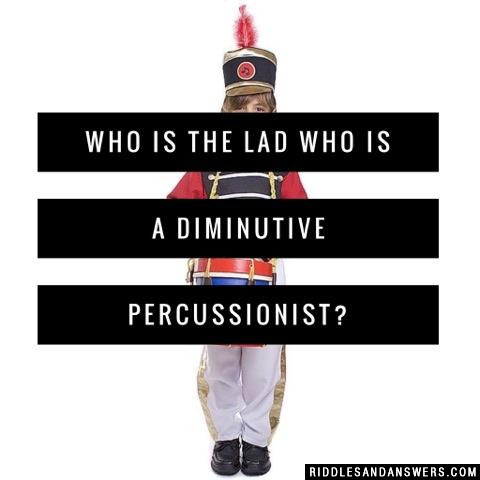 Who is the lad who is a diminutive percussionist? Can you come up with a cool, funny or clever Christmas Song Riddles of your own? Post it below (without the answer) to see if you can stump our users.